Two monumentally heavy bands combine into one monstrous set of music when the Body (Portland, Ore.–based experimental metal heads) and Uniform (abrasive industrial three piece from N.Y.C.) join forces for a collaborative headlining spot at the latest, and possibly last, concert hosted by local promoter Shock City, USA. 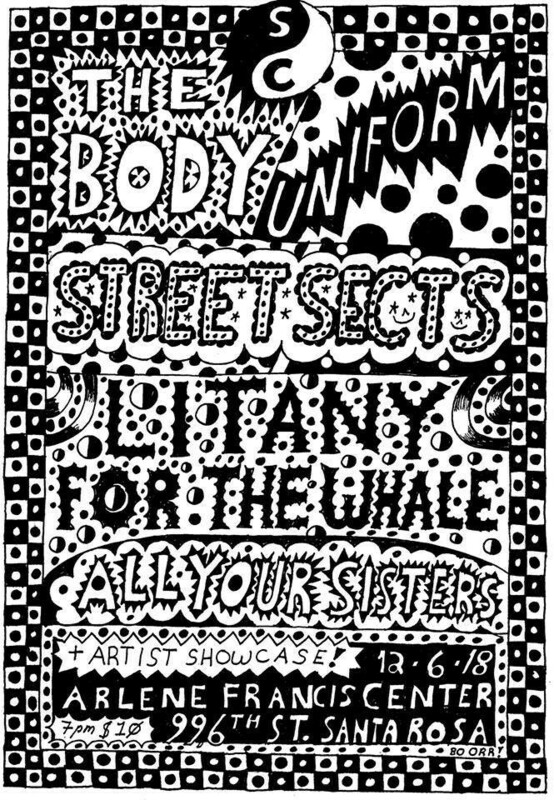 Also on the bill is former local heavyweights Litany for the Whale, Texas post-punk act Street Sects and L.A.-based darkwave duo All Your Sisters, with an eclectic art showcase also on hand Thursday, Dec. 6, at Arlene Francis Center, 99 Sixth St., Santa Rosa. 7pm. $10. 707.528.3009.